Most NFP’s will never be able to achieve financial independence through earned income and self generated revenue streams alone. They are always going to rely on donations (from public appeals, companies, charitable trusts and foundations) and government subsidies to make up the shortfall in their budgets. But many grants come with conditions. And conditions can at times lead to compromises in the mission. 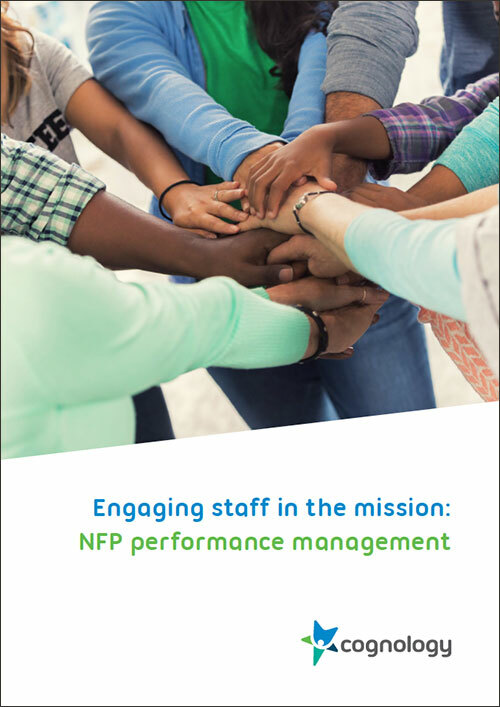 Download our whitepaper to learn more about executing effective performance management in the NFP sector. In pursuit of desperately needed funding, some NFP’s will inadvertently fall into the trap of accepting conditions that are inconsistent with their objectives or restrict how money can be spent. This can result in purpose drift. Organisations are at an even higher risk of purpose drift when they suffer from an identity crisis – either because they have not communicated their purpose well or never really had a clear purpose in the first place. In our previous blog, we talked about the relationship between performance management and purpose. Well-executed performance management provides a greater sense of purpose by clearly linking an employee’s job with the objectives of the organisation. When an individual understands how their day-to-day decisions and efforts contribute to the mission, they are more likely to act in the best interests of the business. There is no big secret to effective performance management. It’s really only what good people managers have been doing all along. As opposed to the traditional once-a-year blab fest – where performance is often reduced to a number in a box on a form – modern performance management is an ongoing, future focused conversation about a person’s development. From the time they commence until the day they finish with an organisation, employees participate in regular and meaningful goal setting and feedback discussions that support their performance. All staff should start out with an agreed set of goals related to both their performance and professional development, and that align with the purpose and priorities of the organisation. In partnership with their supervisor, staff identify areas of their performance they would like to improve upon or develop. Best practice performance management involves regular self reflection and review. To accomplish truly meaningful goals, all participants must be willing to question assumptions and re-evaluate goals as necessary. Is this a realistic goal for the individual? Is this still a priority? Are there more pressing or productive ways the person could be focusing their time or investing in their development? Some organisations are still going to expect leaders to conduct an annual performance review discussion. But rather than it being a stressful experience full of apprehension and surprises, it should just be two people having a genuine conversation that summarises all they have spoken about and worked towards throughout the year. The key to successful performance management is an environment in which staff feel comfortable giving and receiving feedback, aren’t afraid to ask questions, and are willing to confront their strengths and weaknesses. It is up to leaders as the “guardians of purpose” to create these conditions. It is only through the combined efforts of many focused and engaged individuals that an organisation’s purpose can stay true to the cause and prosper.